We decided to rebroadcast this popular episode to remind everyone that we do disagree occasionally. 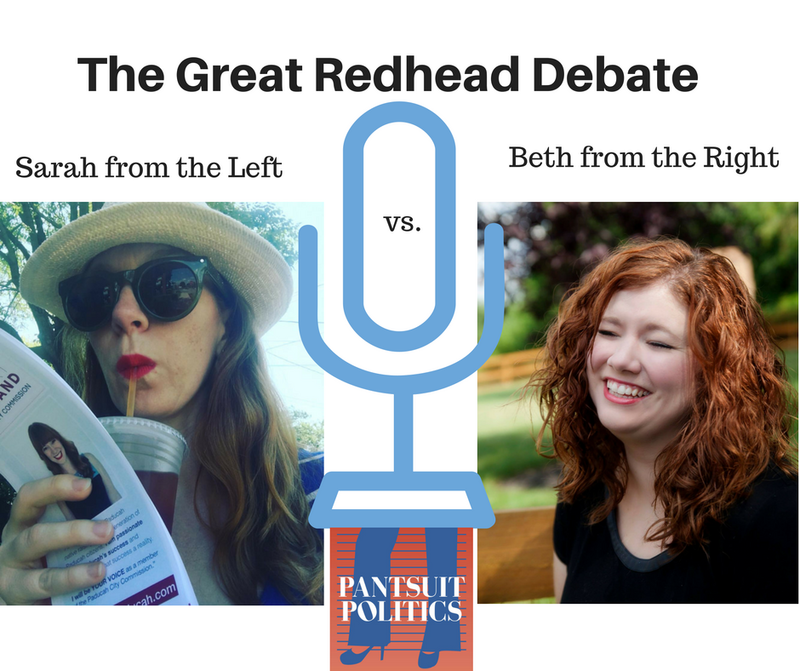 This week we took a break from our normal format to create a special episode for y'all by stepping behind the podium (figuratively of course) for the Great Redhead Debate. For two weeks we took questions from listeners and prepped hard to bring a real debate feel to this election cycle, Pantsuit Politics style - with substance and issues taking center stage. Dante moderated, and we touched on topics like school choice, the economic recovery, the Dakota Access Pipeline, climate change and clean energy spending, teacher shortages, and lots more. Things even got contentious at times, but don't worry, we kept it nuanced.